The catalogue of the archive of the Past & Present Society is now available online. 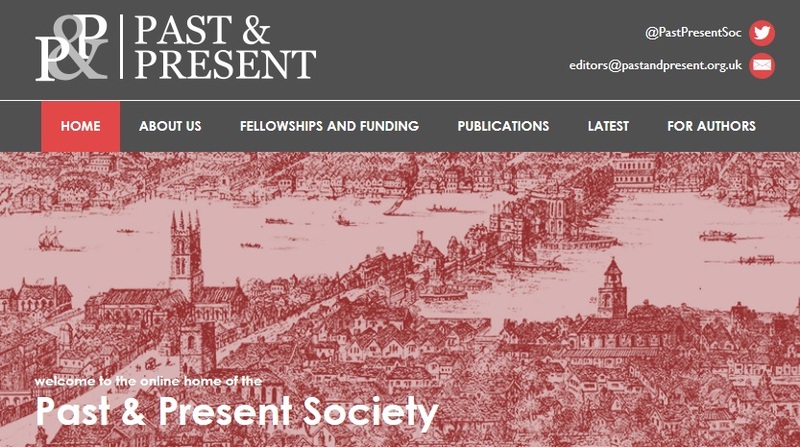 The Oxford-based Society was founded in 1952 in order to publish the history journal Past & Present, which it continues to do, while also running its own history book series and conferences, and appointing two post-doctoral fellows every year. The archive covers the period 1952-2011 and mainly comprises peer review comments on submitted articles, as well as papers relating to books published by the society and the organisation of annual history conferences and research seminars, plus administrative papers for the Society itself and for the journal. The archive will be most relevant to researchers interested in twentieth-century historiography and academic publishing. The archive of the English artist Tom Phillips is now open for research! Tom Phillips (1937-) is an English painter, printmaker, illustrator, sculptor, translator, composer, librettist and set designer. He studied English literature at St. Catherine’s College, Oxford, and was taught by Frank Auerbach while studying at Camberwell School of Art from 1961 to 1963. During his early career, Phillips taught art and art history at Ipswich, Bath and Wolverhampton art schools, where his students included the musician Brian Eno, and he also had early success as a working artist and composer, holding his first solo show in 1965. A notable portrait artist, one of his subjects is the former Bodley’s Librarian Reg Carr, while his portrait of the author Dame Iris Murdoch hangs in the National Portrait Gallery. Phillips’ other art works include tapestries for St. Catherine’s college, Oxford, sculpture for the Imperial War Museum, and commissions for churches, including both Westminster Cathedral and Westminster Abbey. His musical works include the opera Irma (1970) and translating and designing Otello for the English National Opera in 1998. Mainly showcasing his work as a writer, curator and book illustrator, the Phillips archive also reflects his time spent as exhibitions committee chairman for the Royal Academy (1985-2007) and as a trustee at both the British Museum (1999-2006) and the National Portrait Gallery. He has been involved in various curatorial projects and the archive includes correspondence, notes and draft and proof catalogues for those exhibitions. In 2004 he curated the National Portrait Gallery exhibition We Are The People, based upon his collection of postcard portraits from the early 20th century, following his book on the subject, The Postcard Century (2000). He was also chief curator for 1995s Africa: The Art of a Continent exhibition at the Royal Academy, at the time (and possibly still) the largest exhibition of African art ever mounted in the UK. The notebooks and draft essays in the archive also express his ongoing, deep interest in African art, and include his working papers for his book on African goldweights. Also prominent in the archive are the working papers for other books like Music In Art (1997); drafts of articles, lectures, reviews, and blogs on diverse artistic and musical topics; and his collection of small press publications (posters, pamphlets and other ephemera), some designed by Phillips, including his unpublished work Imaginary Postcards (1975). Phillips is also a translator and book maker. His longest-running project is his treated version of W.H. Mallock’s novel A Human Document (1892), which he has altered with drawing, painting and collage and published in various forms as A Humument (1966-). His archive at the Bodleian is more notable, however, for his translated and illustrated version of Dante’s Inferno and papers relating to his work on the subsequent televised version, A TV Dante, (originally commissioned by Channel 4 in the UK and directed by Peter Greenaway). The archive also includes translations of the Anglo-Saxon poem ‘The Seafarer’. The archive will be relevant to researchers interested in Tom Phillips himself, in modern British art history, in art-book making and, in the musical field, for the draft libretti for Otello, Magic Flute and Heart of Darkness. 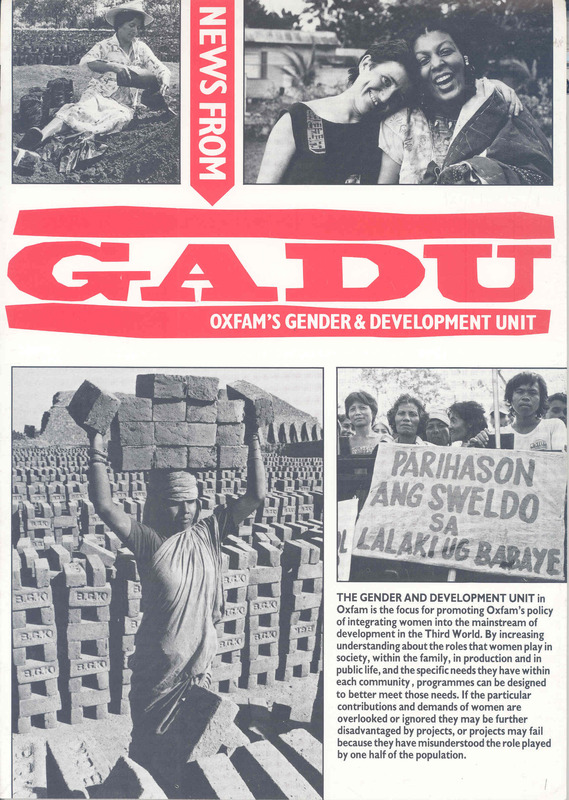 The fifth catalogue of Oxfam archive materials, describing records produced by Oxfam’s appeals and fundraising function, is now available on the Bodleian Library’s website. The Oxford Committee for Famine Relief’s first appeal, ‘Greek Week’, was a local affair, but raised £12,700 towards the alleviation of famine behind the Allied blockade of Greece through advertisements in the Oxford press, a gift shop selling donated goods, and events such as concerts of Greek folk songs. Following the end of the Second World War, the Committee began collecting food and clothing parcels for the war-affected in Europe, branching out into national press advertising in 1946. 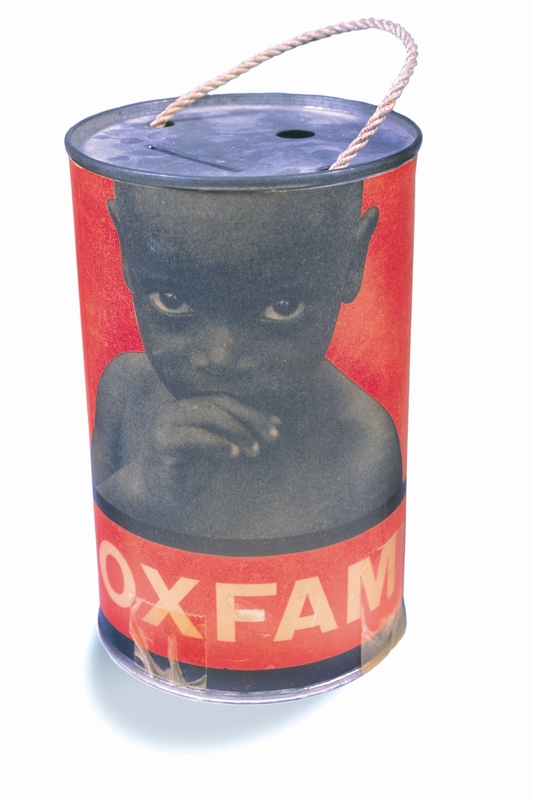 This was a pioneering step at a time when professional marketing techniques were rarely applied to charity fundraising and in subsequent years the charity would become known for its hard-hitting, and often controversial, use of advertising. Many of these early efforts can be viewed in the archive, which includes a series of newspaper advertisements published between 1943 and 1991. Used with other records such as correspondence relating to early appeals, appeals mailings sent out to supporters to request donations from the 1960s onwards, and a series of market research reports, researchers will be able to trace how the charity’s approach to fundraising evolved over time. This includes its adoption of ‘starving child’ imagery from the 1950s, and conscious use of more positive portrayals of empowered beneficiaries from the 1970s onwards. 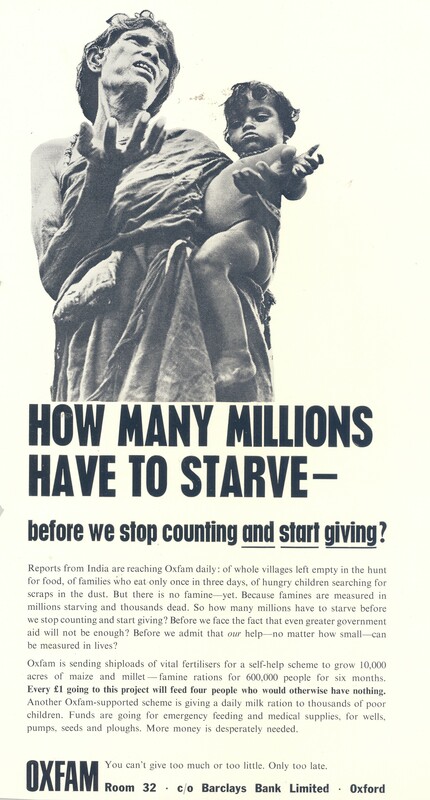 Also of interest will be records, including reports and newsletters, relating to Oxfam’s regular giving schemes, the first of which, ‘Pledged Gifts’, was launched in 1960. This had recruited 26,000 voluntary collectors by 1964, collecting small, regular donations from neighbours and workmates. 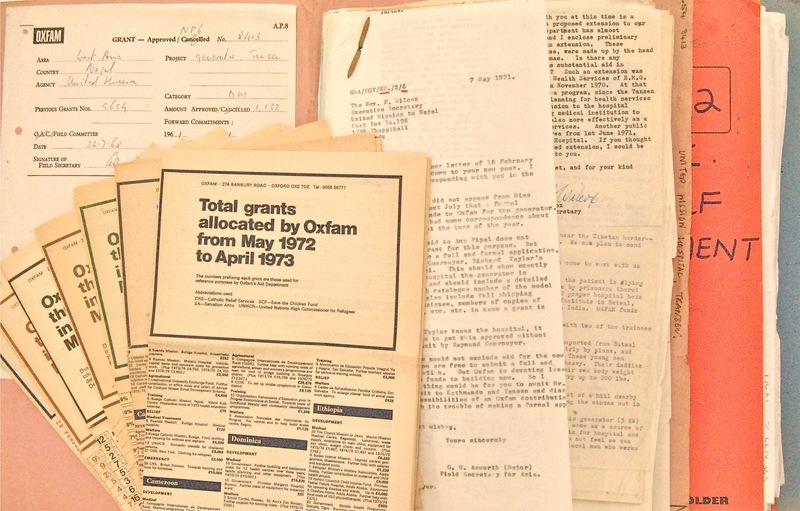 Equally fascinating are correspondence files and reports relating to the co-funding of Oxfam projects by the Overseas Development Administration and the Commission of the European Communities and their respective successors, both of which began in the 1970s. In addition to the new appeals and fundraising catalogue, a second, expanded edition of the programme policy and management catalogue has been released. This includes correspondence of the Policy Director and staff relating to organizational campaigns and Oxfam’s role in advocacy on behalf of poor people. Gender policy and strategy are revealed in the correspondence, reports and publications of the Gender and Development Unit, established in 1984, tasked with raising awareness of socially constructed differences between men and women and the unequal power relationships that result, and incorporating a gender perspective in Oxfam’s programme. 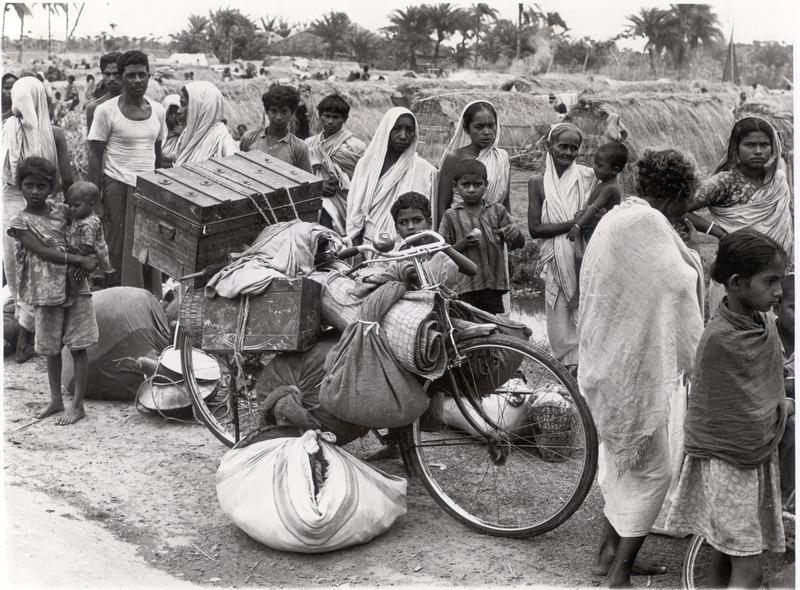 Records of the regional ‘Desks’ and the Humanitarian Department and their predecessors offer a detailed insight into the running of Oxfam’s development programme and its interventions in humanitarian crises from the early 1970s. These consist chiefly of correspondence between staff employed in numerous countries around the world and colleagues in Oxford. Health Unit materials include papers relating to Oxfam’s development of equipment such as immunization kits for use primarily in emergencies, and the production of the Oxfam energy biscuit which became part of its supplementary feeding programmes. The second edition of the catalogue of files relating to grants made by Oxfam (‘project files’) will appear soon. The archive of the civil servant Francis Hopwood, first Baron Southborough (1860–1947), has now been catalogued and is available in reading rooms in the Weston Library. Trained as a solicitor, Southborough had a fascinating career in the public service. The consummate civil servant, he worked at the Board of Trade, the Admiralty, and the Colonial Office when the British Empire was at its territorial peak. 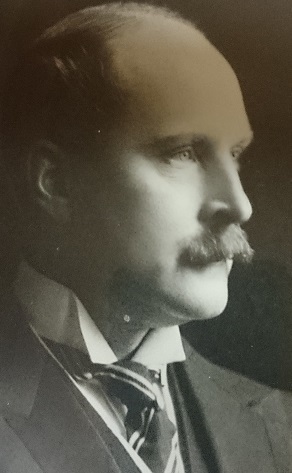 A skilled negotiator who was involved in public affairs at the highest level, he (among many other duties) served as secretary of the Select Committee investigating the botched Jameson Raid (1895-96), was entrusted with a secret peace mission to Scandinavia during World War I, and was elected as secretary of the Irish Convention which attempted to resolve the “Irish Question” following the Easter Uprising of 1916. Southborough also worked closely with members of the British royal family and royal household, and was involved with the acquisition and cutting of the famous Cullinan Diamond, resulting in nine principal gems, two of which (known as the Great Star of Africa and the Second Star of Africa) today form part of the Imperial State Crown and the Sovereign’s Sceptre With Cross. The archive also includes a box of letters from Princess Louise and a typescript account (attributed to Princess Louise) of life in the royal household under Queen Victoria. The general correspondence is also fascinating, and the archive includes letters from characters as diverse as the fervent naval reformer Admiral Lord Fisher and the author Edith Wharton. There are also significant tranches of letters from Southborough’s close colleague Winston Churchill (they worked together in the Admiralty); the South African prime ministers Louis Botha and Jan Smuts; Bernard Forbes, Lord Granard, corresponding about Irish affairs and the conduct of the Dardanelles Campaign in World War I; and Wiliam Humble Ward, Lord Dudley, while he was governer of Australia. The archive is astonishingly rich and has a very wide range of research potential, not least for students of British political history. Thanks to additional funding from The Thriplow Charitable Trust, we have been able to open more boxes from the archive of the politician Roy Jenkins. Newly available material includes correspondence and papers from his time in opposition and government in the 1970s, and his time as President of the European Commission from 1977-1981. It also includes some general correspondence from the 1980s, when Jenkins re-joined Parliament as a Social Democratic Party (SDP) MP, as well as some correspondence from his time in the House of Lords. The opened or partially opened shelfmarks are: MSS. Jenkins 102, 105, 107-128, 130-137, 188, 190, 193, 199-208, 210-219, 221-224, 230, 264-268, 277-279, 284-286. The catalogue of the Evan Jones archive is now online and the material available for readers to consult. Born in 1927 in Portland, Jamaica, Jones was educated in both Jamaica and Pennsylvania before studying at Wadham College, Oxford. He graduated in 1952 with a BA (Hons) in English literature and initially went into teaching, but came to establish himself as a poet, novelist, playwright and screenwriter. The archive consists of screenplays, typescripts, correspondence and publicity material relating to Jones’ poems, novels and screenplays, as well as audio-visual material for the films and television programmes he worked on. Perhaps most notably, the collection contains material concerning his seminal The Fight Against Slavery. Written by Jones in 1973 and broadcast by the BBC in 1975, The Fight Against Slavery is a 6-part television series which documents the outlawing of slavery in the British Empire. The episodes are based in Africa and the West Indies and tell a story from 1750-1834, with the characters and narrative based on real people and actual events. The archive includes annotated drafts and typescripts of the different episodes, and the later novel adaptations of the screenplays. There is also publicity material of the series produced by the BBC and printed advertisements for it, as well as contemporary newspaper reviews. The personal letters in the collection indicate that it was well-received and generated much discussion and official correspondence relays the processes behind its broadcast. VHS copies of the series are also in the archive, and will be digitised for preservation and to make them accessible long-term. Evan Jones is a descendant of both slaves and slave owners, and The Fight Against Slavery seems like a personal effort to disclose the struggles of particular individuals to eradicate the slave trade, with Jones himself introducing each episode. Not all of Jones’ oeuvre holds the weightiness of this dramatisation though, with films such as Modesty Blaise, a comedy starring Monica Vitti and Dirk Bogarde loosely based on a comic strip of the same name, and the television play Madhouse on Castle Street which features songs performed by Bob Dylan, also being examples of Jones’ screenwriting. As well as this, he is known for the screenplay of the film Escape to Victory. The main plot of this film revolves around a football match between the English and Germans in a German prison camp during World War II, and it stars Michael Caine and Sylvester Stallone. Material on these and other works also feature in the archive, demonstrating the wide-ranging subjects and genres Jones worked on. Outside of Jamaica, Evan Jones’ writing is perhaps not as well known as his screenplays; but since the 1950s when he wrote ‘Song of the Banana Man’ in an Oxford pub in response to a challenge to show what he thought Jamaican literature should be like, he has returned time and again to his homeland and themes of race, family and identity. Almost half a century later and the banana man’s song still resonates with Jamaicans and ex-pats alike and you can find ‘Song of the Banana Man’ featuring in the Favorite Poem Project http://www.favoritepoem.org/ of Robert Pinsky, the 39th Poet Laureate of the United States. ‘Song of the Banana Man’ was the first poem to use Jamaican patois in a way that was accessible to a broader audience and Ian Thomson cites it as a major influence on the dub poets of the ’70s. Jones was asked to write Protector of the Indians–a historical book about Bartolomé de las Casas–in 1958 but most of his other literary papers remained unpublished while his career in screenwriting took off. Aside from a series on West Indian history and folklore for children (1989-1991) for Macmillan’s Caribbean Writers collection that is still taught in classrooms today, he has mainly focused his energy on film and television; though he had always had the time to write articles and editorials about Jamaica for various publications. However, in the 1990s he set out to write a novel because there was a story inside him that wanted to be told. Stone Haven (1998): a fictional historical epic with a semi-autobiographical core, chronicles the lives and loves of the Newton family as they rise to political power. Jones’ close ties to and abiding love for Jamaica informs its pages and it has drawn critical praise for its realistic portrayals of life on the island. This diverse collection of papers and audio-visual material spanning over six decades of Jones’ life will be a great resource for future researchers.